Close to my Heart has released several products that are featured in the new Annual Expression (available September 1st) to us early and I decided to play with some of this product today. I used the new Zoe Paper Packet and I had planned to use the new Cricut Artistry Collection but ended up using images from the Artiste Collection for my bow and tag. The new shimmer trim is called Coral and I love it! My sentiment is from the Happy to Be Friends (C1605) stamp set and it is stamped using Sorbet and Sweet Leaf Ink. I also sponged distressed all edges with Sorbet and sand distressed the bow. What a fun card! Love how you used the shimmer trim on the bow. Thank you for inspiring us at Between the Fold Weekly Challenge Blog - DT Donna - http://btfchallenges.blogspot.ca. Love the bow. Thanks for sharing with us at Heart 2 Heart. That bow is amazing! Gorgeous touch to a card. Thanks for joining us at H2H. So pretty, I love the bow and the touch of shimmer in the centre so cute! Thanks for playing along with Heart 2 Heart Challenges (H2H)! 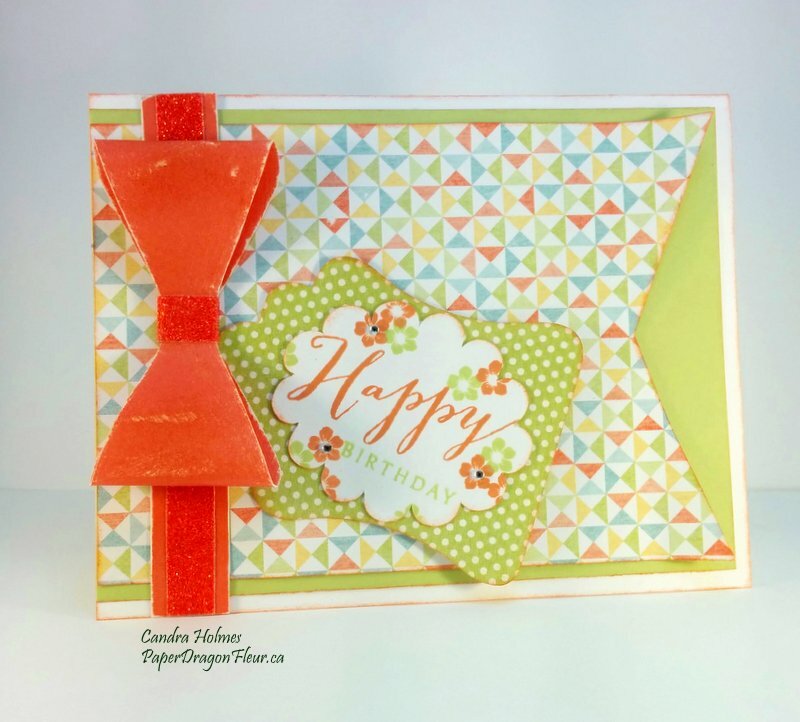 Love everything about your card-so cheerful, great colors and the bow is awesome! !